I love Florida Springs so much! I highly recommend taking a day to go to Kelly Park, Rock Springs. It’s pure Florida nature as it has been for hundreds of years. (At least close to it.) You will really be glad you did. I wrote extensively about my love for Rock Springs here. Beautiful river to swim down at Rock Springs at Kelly Park. Winter Park is a very special section of the Orlando area. It’s about 15 minutes from downtown, and it has a beautiful vibe to it. It’s more quiet and residential. You can take a boat tour that is truly delightful. It goes around the lakes of Winter Park and it’s very informative! Book a boat tour here. Buy tickets (for the best prices) on the Gatorland website. 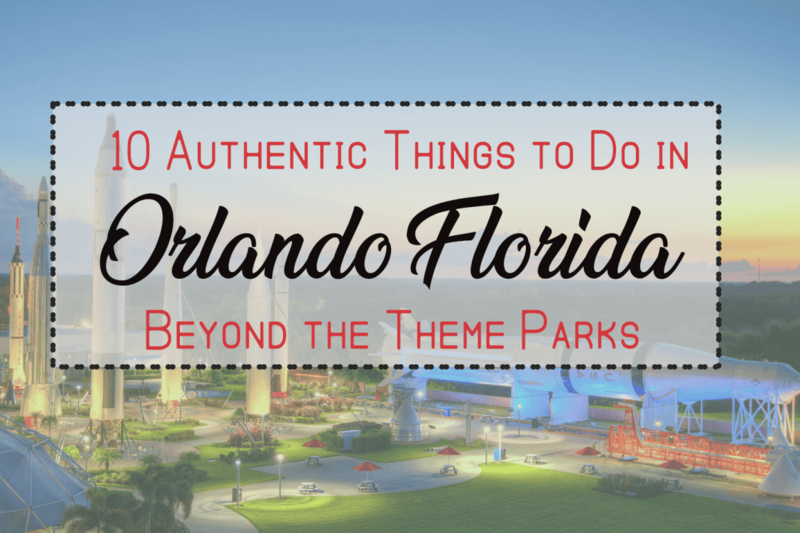 This is such a Florida adventure off the beaten path! It’s loud, it’s intense, and it’s just as good as any roller coaster. You fly over the Florida nature on an airboat and see wildlife in their natural habitats. Enjoy! Book your tour via their Boggy Creek Airboat Tours website here for best offers. This company in St. Cloud offers really amazing Florida adventure! You can do zip lines or coach tours. I love how authentic they are. They really care about education and making tourists see what Florida really was like for many years in the past. It’s a must do. Book a ticket here on their company website for the best deal. Today many kids aren’t inspired to pursue math and science. Well, the Kennedy Space Center helps bring back the magic of what makes science amazing. The wonderment of traveling to another planet or the moon feels a little more real after you visit. Take kids for sure, and take anyone! It’s a special experience. Book your tickets at the best rate via their own Kennedy Space Center website here. If you have little ones (or adults) who need a slower day, take time to visit this lovely Orlando Florida petting Farm! I love this petting farm because it’s clean smells good, and the animals are cute. They don’t look like they’re overly mangled by children. The staff is really sweet and thoughtful. It’s also a nice size. It’s big enough to be interested, but not overwhelming to lose your little ones. Book your tickets for the day here on the Green Meadows Petting Farm website. For more details, check out my post on this canoe spot. Get rate info an directions on the King’s Landing Canoe Rental in Orlando website here. This little theater is so much fun! The plays are wonderful, the atmosphere is quaint and cozy, with good sound. You will love the experience of being in the theater. If you can, please go one afternoon or evening to support local Orlando theater. This may be one of the most memorable (air conditioned) and pleasurable parts of your vacation. Book tickets via their website and check out the plays coming up soon. Yes, you knew this suggestion was coming. Explore some of Orlando’s beautiful beaches. My favorite is Playalina Beach on the Space Coast. This is a nice one to combine with a trip to the Kennedy Space Center. It cost a few dollars a carload to get in, but the views of unspoiled nature are SO worth it. (NO trash, NO stores, NO commercialism.) It’s just relaxation, waves, beauty, and lots of sea & sky. For more information on Florida beaches, check out my other beach blog post here. At Boggy Creek, opt for the Drive Your Own Airboat adventure. Really fun. Nice! Thanks for the suggestion Charles!